Tip: Scan your fridge and kitchen cupboards and write down lunch ideas with the items that you have on hand. 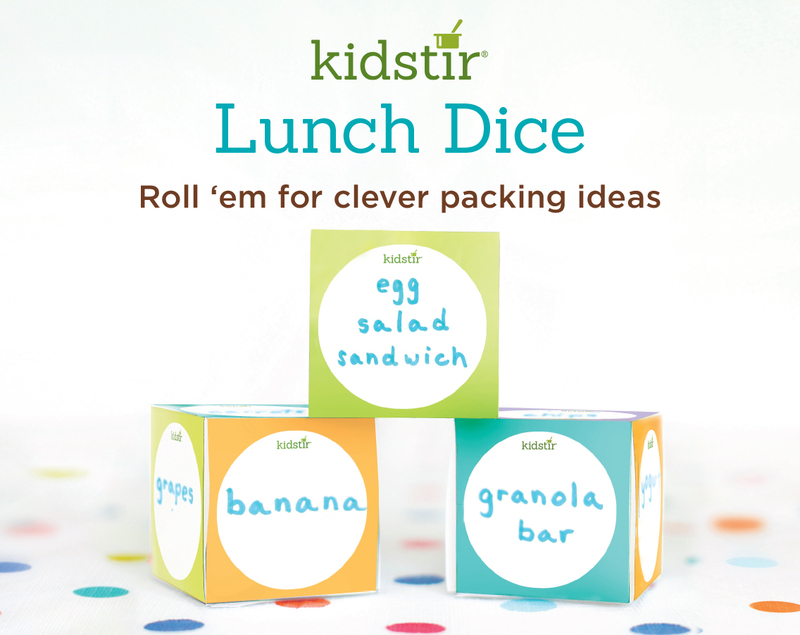 Roll and get ideas for what to pack for lunch! Print out this page 3 times (using “Download Here” link above). Cut along the dotted lines. Write a lunch idea in each circle (see ideas at right). Fold along the solid lines. Tape the dice together. Roll all three dice at once. Read the ideas on what to pack in your lunch! Die #1 Sandwiches and main courses: turkey wrap, pb&j, salad, and so on. Die #2 Fruits & veggies: carrot sticks, blueberries, apple, orange, etc. Die #3 Snacks and desserts: granola bar, cookie, pretzels, raisins, and more.